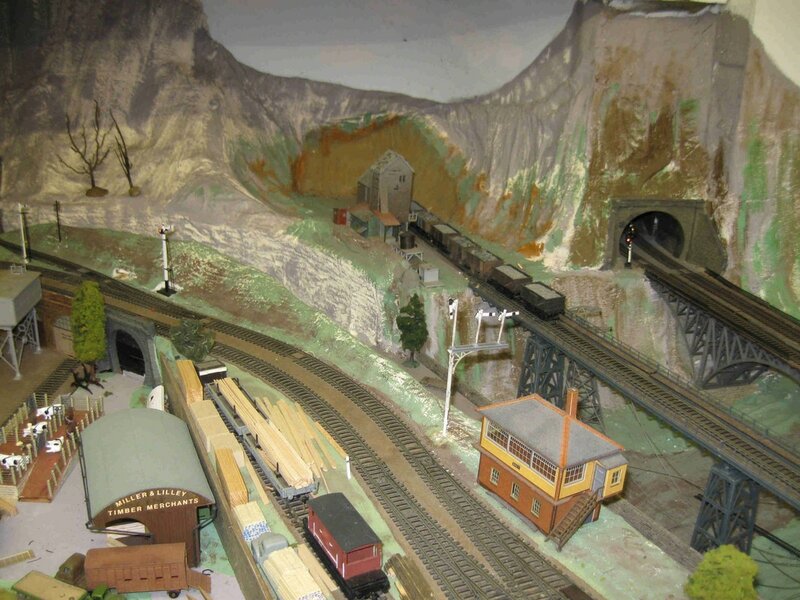 Originally built in the 1960's in a loft this layout was cut out (literally as baseboard was/is 8' x 4' x ¾ chipboard) in 1999 and moved to Somerset and stored until 2005 when a start was made to rebuild it in the garage. As the garage wasn't long enough the end wall had to be knocked out and a lean to shed added! 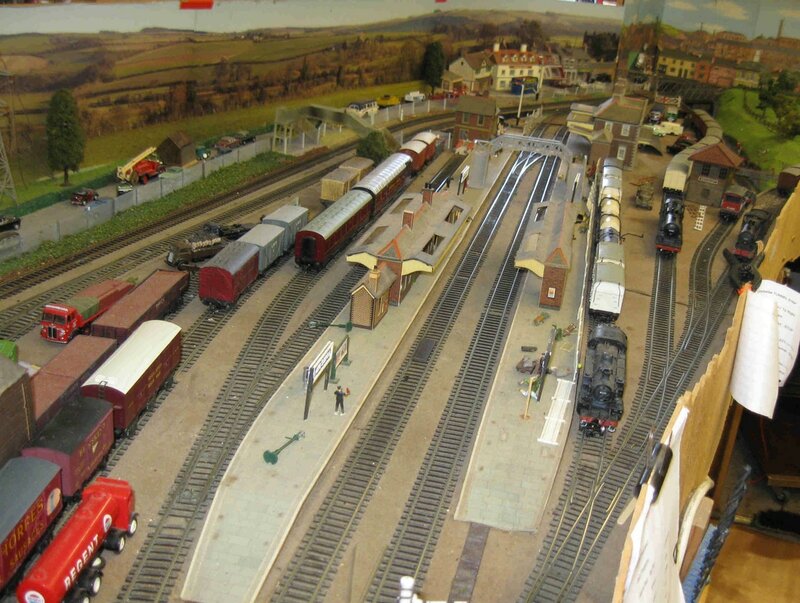 First loco did a complete circuit late 2006 then it took took three years to make the layout run reasonably reliable. Period roughly LMS/BR Midland NW outskirts of London 1932-1966 ish. 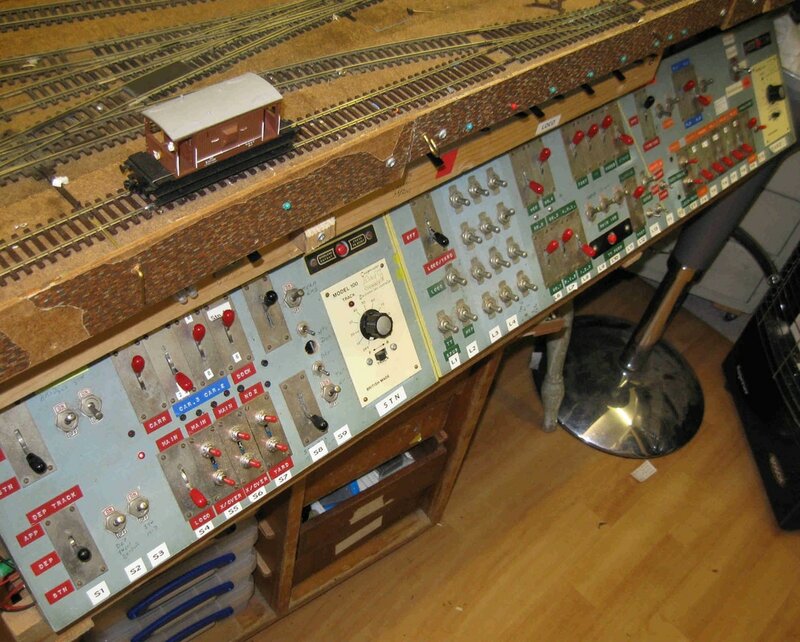 5 controllers, 95% Shinohara track and points, 50 years old. Tenshodo point motors n switches also 50 years old. Points 56 powered, 4 trailing, 4 manual. Wagons and carriages are in rakes with Kadee couplings. 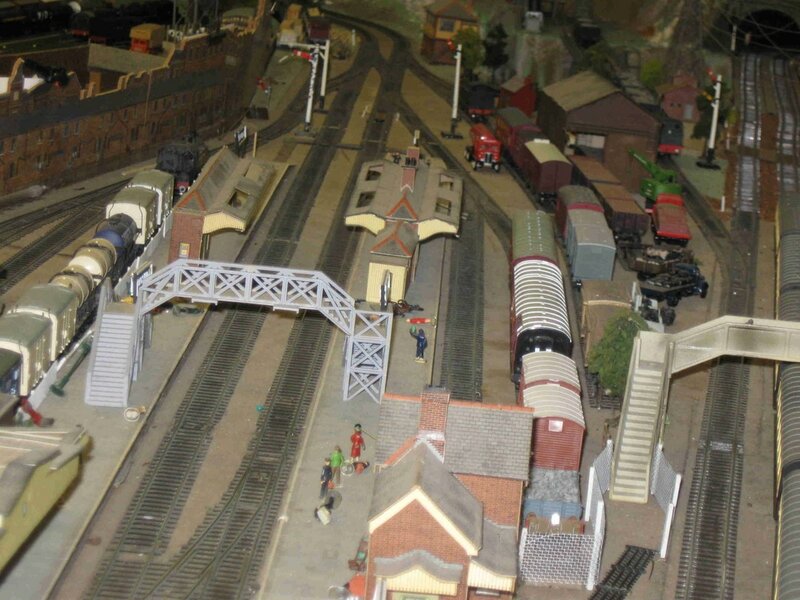 Locos, normally 30 – 35 on the layout ranging from Horby Dublo Duchess of Atholl 3 rail converted to 2 rail (still running after 60 years) to Hattons Garrett and Bachmann's 2-4-2 Lankey tank. Current Project Coal up 34 wagons for Garrett to pull, 34 is max I can shunt and assemble in yard.